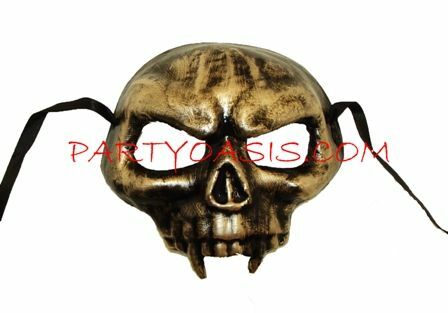 Hand made paper mache Halloween Skull mask has a hand painted black and gold detail. Perfect as a part of a scary skeleton Halloween costume. Mask has two ribbons for wearing.